Once again, the United Synagogue’s Chesed Department is delighted to be working with Tikun in their Light Up a Life programme. Over December/January, 8 shuls have participated in 12 cooking sessions in this wonderful scheme, with several more in the pipeline for 2018. The recipients include vulnerable members of our own synagogues, people who are homeless as well as mothers and children who have experienced domestic and sexual abuse. This year we have linked with Barnet Winter Shelter Scheme, Muswell Hill Soup Kitchen, Solace Women’s Aid and Rhythms of Life, a charity geared at helping street homeless with nutritious food as well as education programmes. What was particularly exciting about the programme this year was the contribution made by young people – whether that was as part of the mother and daughter Batmitzvah classes at Barnet and Hendon Synagogues, the Tribe Learn to Volunteer programme for Year 9 at Finchley Synagogue or Damon Waks and his family and friends from Radlett Synagogue who made the cooking his Barmitzvah Project – and also collected toiletries. For some synagogues such as Barnet and Muswell Hill, cooking for others is a regular fixture in their calendar, but for others such as Borehamwood and Bushey, this is a first – although we hope that they will get the bug too and want to make it an ongoing part of their social responsibility programmes. 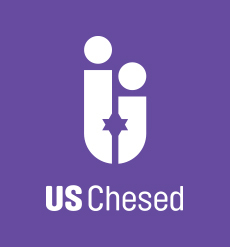 The success of the scheme was helped hugely by those kind volunteers who agreed to pick up the food from the synagogues where it had been cooked and take it to where it needed to be – a real chesed. Tikun, as well as helping with the costs of the food, provided a number of inspirational speakers to talk to our cooks about the importance of kindness and leaving a better world for the next generation.